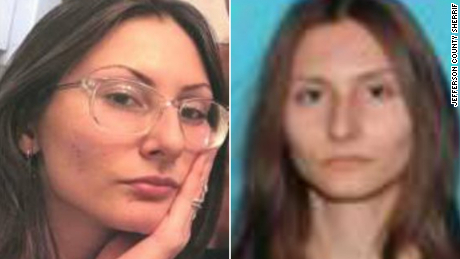 (CNN)Authorities are searching for an armed woman in connection with alleged threats that led to lockouts at Columbine High School and nearly 20 other Colorado schools, officials said Tuesday. The FBI Denver Division and the Jefferson County Sheriff’s Office identified the woman as 18 year-old Sol Pais. Pais traveled to Colorado on Monday night “and made threats in the Denver metropolitan area,” the sheriff’s office said in a Facebook post. Sol Pais is sought in relation to lockouts at Columbine High School and several other Colorado schools.The threats were credible but not specific, authorities said. They were not directed to a particular school, according to sheriff’s spokesperson Mike Taplin.”It’s a credible threat … but she did not make it directly,” said Jenny Fulton, a spokeswoman with the sheriff’s office. “There may be some connection to Columbine but it wasn’t a specific directed threat towards Columbine.” Earlier on Tuesday, the Colorado Department of Education recommended that Denver area schools conduct a “lockout” and controlled release after the alleged threats. Read MoreJefferson County school officials tweeted that all students and staff were safe and students would be released on a normal schedule. “We will have extra safety and security staff on site at all schools affected,” Jefferson County Public Schools said. Columbine High School Shootings Fast FactsColumbine High, which is in Jefferson County, and several schools in the area were part of the lockout, the Jefferson County Sheriff’s Office tweeted. Aurora Public Schools, east of Denver, said all of its schools were “placed in secure perimeter.” City police have provided extra security as students were being released, the district tweeted. “We have no info about a specific threat related to any schools in APS.”On April 20,1999, two students killed 12 students and one teacher in a mass shooting at Columbine. The two shooters took their lives in the school’s library. Return for updates. This story is developing.